But wich palace or house will Prince Amedeo live when he get merried?? Prince Amedeo will probably have to find a house for himself. The palaces and houses in the Royal Trust are for use of the entire royal family, but first and foremost the King and his children. 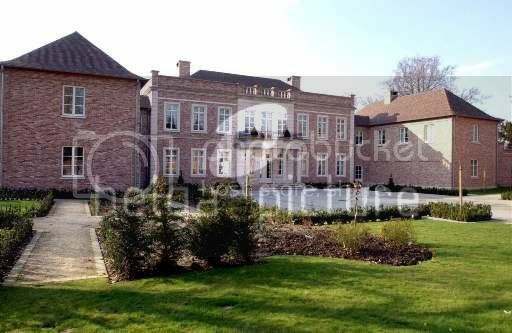 The royal family or Belgian government cannot provide houses for each of the twelve grandchildren of the King, that would be a bit much. How long ago did they build that villa?? I'm not sure, but I think it was built shortly after Albert became King. Before that, Princess Astrid and her family lived in Switzerland, and when they returned at first they lived at Stuyvenberg. So I think it is no older than 15 years. I am not surprised. The house has a very "new" feel about it - perhaps something to do with the materials chosen for the exterior. i just need to ask something... The king and queen of belgium has 12 grandchildren... Princess Elisabeth will one day become queen. And her future children will be titled: prince or princess of belgium. But like if ex: Maria-Laura or Louise have children , will they be prince or princess of belgium?. Like Amedeo and Joachim they are also archduke... So if they get children , will they be prince/ess of belgium??? This is a very good question...I've just checked in the Belgian Constitution, but it doesn't say anything regarding it. Surely the children of Maria Laura and Louise Marie won't be Archdukes. Will the future grandchildren of Princess Astrid have any titles?? The children of her sons (if their marriage is accepted by the Head of the Habsburg house, I think it has to be) will receive the Habsburg titles of course: Archduke/duchess of Austria-Este, and the son of Amedeo will carry on the title of Duke of Modena. As for their daughters' children, I think that depends on the man they marry. I don't know if the title "Prince(ss) of Belgium" is restricted to children and grandchildren of the reigning monarch or the crown prince. In any case, the title only emphasises that they are in line for the throne, it doesn't entitle them to any special priviliges. The children of Amedeo and Joachim will (probably, if their marriage won't be morganatic) be Archdukes of Austria-Este, Royal Princes of Hungary and Bohemia; the eldest son of Amedeo will be also the titular Duke of Modena and Reggio, after Amedeo. One more question. are Princess Astrid"s children allowed to marry commoners?? No the Title Prince/Princess of Belgium is not limited. Since the change of the succession law it goes to all descendants of king Albert II. in both male and female line. But i think they have to do soemting about thius because otherwise Belgium will be flooted with Princes and Princesses in about 20 years. I think the best time for a change would be when the first grandchildren marry. Why do they have to do something about it? I dont see a problem if they all carry the title since they have the right to. - As Archdukes of Austria, they need the permission of the Head of the Family (Archduke Karl); it is better if they marry at least noblemen/noblewomen, but in the last years the marriages of some Archdukes to commoners (AD Maximilian, AD Konrad, AD Philipp) have been allowed by the Head and therefore equal. Usually the problem is linked to the allowances paid by the State to the Princes; but since in Belgium this will no longer be a problem, since only the children of the King and the Duke of Brabant will receive an allowance, there is no reason to limit the transmission of the title.